It's that time of year when the temperatures drop, days have become shorter and you’re spending less time outside. Regardless of where you live, the climate change can be hard on your home. To ensure your home is prepared we have outlined a few maintenance items, most of which you can do yourself, to get you ready for the upcoming fall and winter months. Before using your furnace be sure to schedule a routine maintenance check. If you would rather save a little money and do it yourself make sure to clean out the air ducts and vents, check the fan belt, and change the filter. A build up on your filter can limit airflow and increase energy demand so make sure to clean or change them monthly. Contrary to what most people think, many ceiling fans have a switch that will reverse the direction of the fan blades so that it turns clockwise. By doing this you are circulating the heat downward in a room, adding a little extra warmth. This will help cut down your heating bill and ease the burden on your furnace. When a water heater is first installed in your home it is normally set to 140 degrees Fahrenheit. Majority of households don't need that much heat and during the cooler months when it's set at this temperature will cause you to use up a lot of energy trying to heat up the water. By lowering the temperature 20 degrees to 120 degrees Fahrenheit you could be saving costs up to 10%. It's that time of year when the leaves start to turn colors and look so pretty but unfortunately they also clog up your gutters. If your gutters are full of debris it can cause damage to your roof, trim and siding from water backing up. Not to mention, during the winter the water will freeze causing ice dams and preventing your drainage system from working properly. 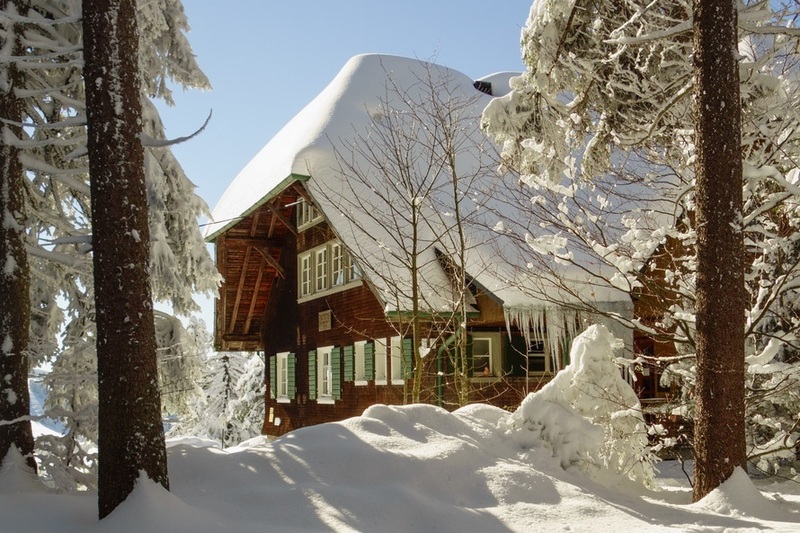 Insulation keeps your home nice and toasty while keeping the cold air out. This winter you can reduce your heating costs by 25% just by making sure your basement and attic are properly insulated. If you rather not hire a professional to do the job, you can add thick curtains or an area rug to keep the heat in your home. Check your home for any cracks that can leak cold air in, mainly around your windows and doors. Seal up these areas by adding caulk and weatherstripping. Use a door sweep to stop drafts from coming in under your front and back door. Doing these few items will add money in your pocket and drastically lower your heating bill. Don't wait until the first snow storm of the year to stock up on key items like salt or sand, snow shovels, batteries, blankets and an ice scrapper. Having these items handy will save you the extra stress so you can focus on more important things like building a snowman or making a snow angel. Scratch these items off your to-do list this month and get started on winterizing your home!